In early 2014, 10 pupils from each of BSB’s partner schools in Ghana received a scholarship. The students were selected because they displayed commitment to education, despite being from homes that could hardly provide a meal a day. They attend Duusi, Zuarungu-Moshi, Dachio and Gaare-Gbani Primary School.Thirty- nine of the 40 students have successfully graduated to the junior high school. All have improved their performance. Under the programme, the pupils were presented with a school uniform, bag, maths set, pen, exercise books and a belt for the boys. Also, beneficiaries from Dachio and Gaare-Gbani school, which are not part of the government school feeding programme, are given a meal for attendance. Ayinpoka (Dachio Primary School) is one of the 40 beneficiaries. After the death of her father she and her four siblings lived under the care of her mother, who depends on rain-fed subsistence farming as her main source of income. During weekends and holidays, Ayinpoka used to walk to Bolgatanga township to sell ice water for money to buy books, pens and food for school days. On days at which she did not eat before coming to school, she left school as early as 10am to look for something to eat, and would not come back to school. Through the encouragement and support from Best of Both, there is no need to do this anymore. Her position in class was 13th, 10th, and 9th for first, second and third term respectively, in the 2013-2014 academic year. 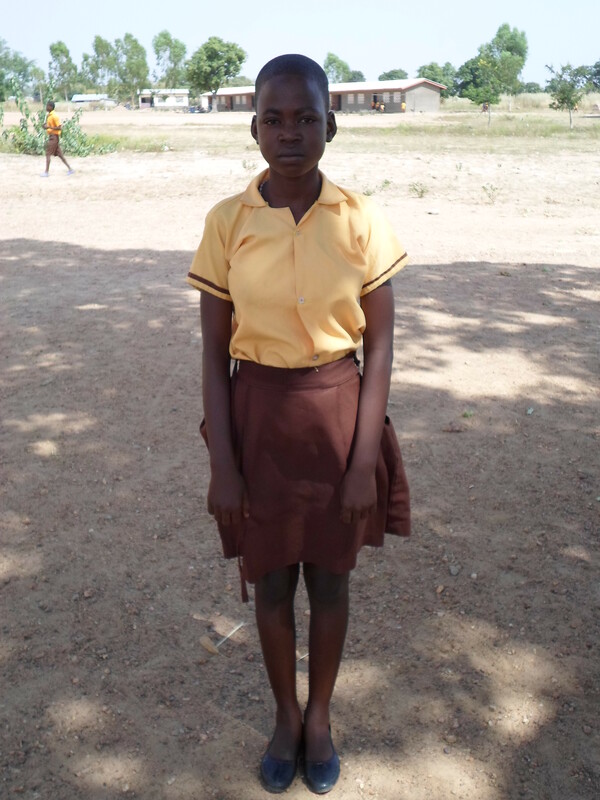 Ayinpoka is now doing very well in the junior high school.